If I were to make a list of movie characters I would be most afraid to run into in a dark alley, Mrs. Hammond as played by Gale Sondergaard in The Letter would absolutely be on that list. To say Mrs. Hammond carried an imposing aura about her would be an extreme understatement. But what blows me away is how she manages to be so incredibly menacing while not seemingly doing very much. She doesn’t yell, she doesn’t slap or punch anyone. Instead, she spends most of her time on screen standing still and glaring. But she stands still and glares more terrifyingly than anyone. Mrs. Hammond hardly has any lines at all and the few she does have aren’t in English. All of her movements are extremely controlled; even when she’s stabbing Leslie to death. All of her power comes from her facial expressions and her incredibly tense posture. If anyone ever looked at me the same way Mrs. Hammond looked at Leslie Crosbie, I would be running for my life. I aspire to glare at people half as well as Mrs. Hammond. 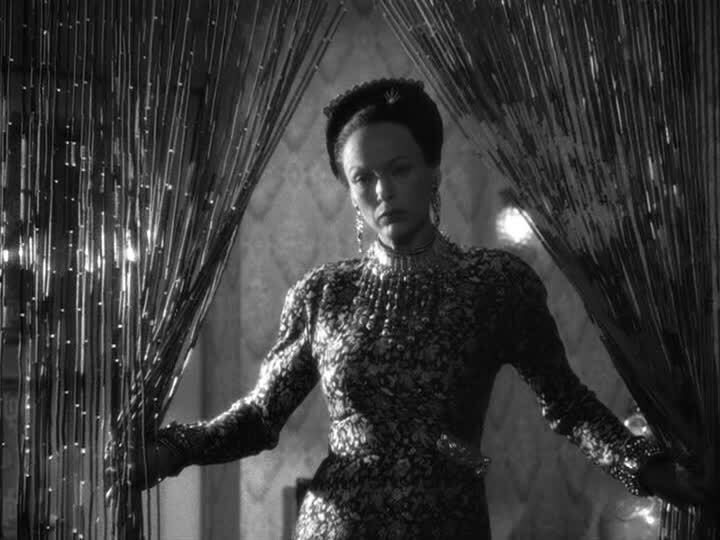 Stealing scenes from Bette Davis was no easy feat, but Gale Sondergaard did so in a spectacular way. It’s a brilliant example of how sometimes, things are more unnerving because of the things a person doesn’t do. I agree. Gale Sondergaard is magnificent in The Letter.